The Stations of the Cross are a series of images depicting Jesus on the day of his crucifixion. While there is no official number of stations, 14 are typically commemorated: eight scenes that are depicted in the Bible, and six that are implied. The Stations of The Cross are intended to help Christians make a spiritual pilgrimage through contemplation of Christ’s Passion. But for those of us who have celebrated the Stations numerous times, the images can lose their impact. 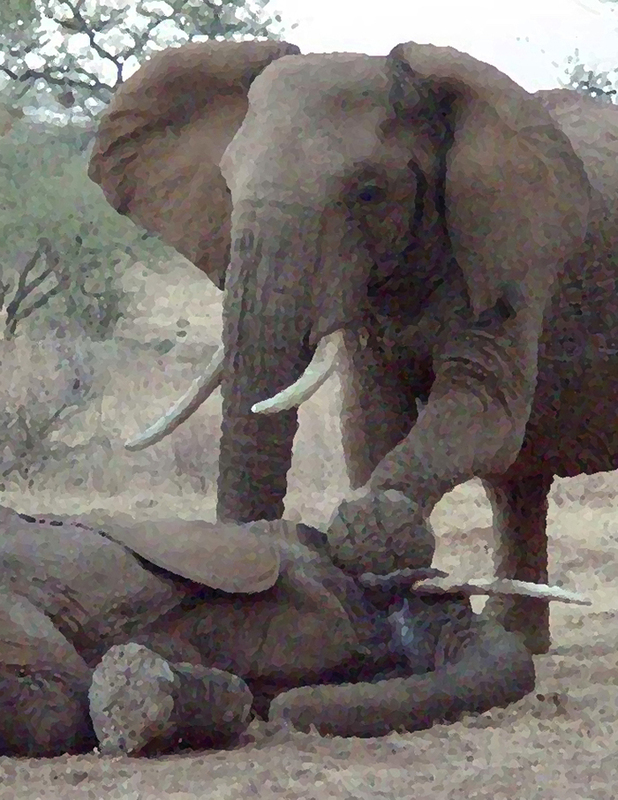 We can perceive them as art, without registering the human suffering and emotion they entail. Father Michael wondered how our perceptions might be changed if the Stations of the Cross were depicted either through metaphor or by bringing the scenes into the present. To that end, a few St. Philip’s parishioners gathered photographs from public sources to represent each of the Stations of the Cross — and, it is hoped, to re-engage us in their fuller meaning. 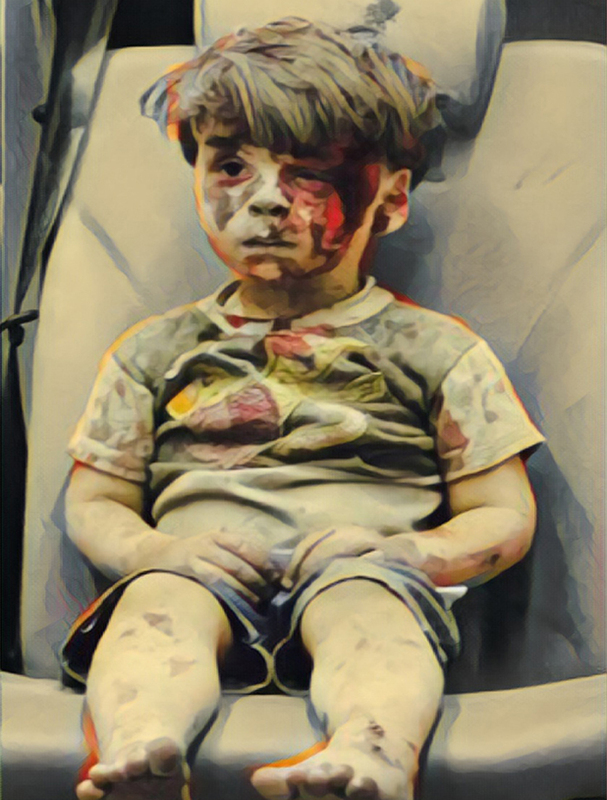 This haunting image of a young boy pulled from the rubble of an Aleppo airstrike captures the despair and abandonment Jesus must have felt when he was condemned to die. 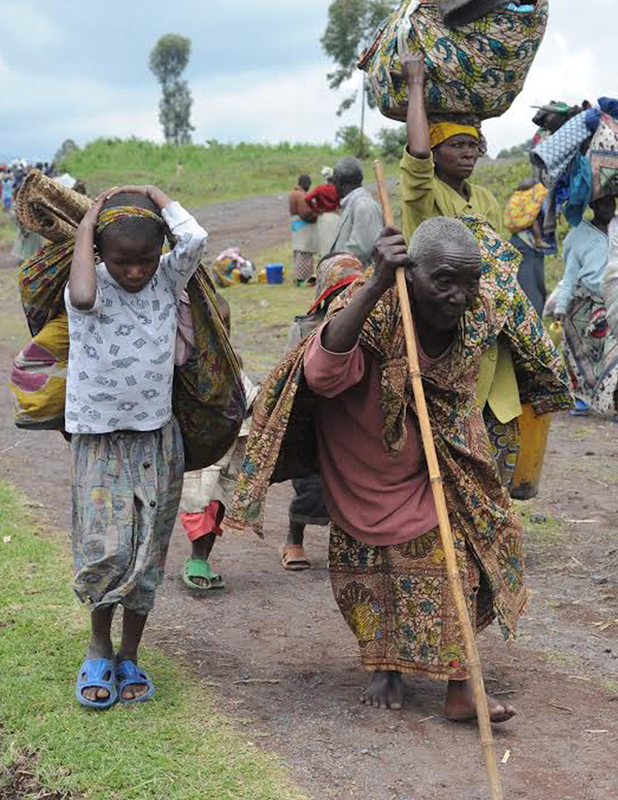 Like Christ lifting his cross, African refugees fleeing conflict or persecution take up their belongings and leave their former, familiar lives behind. The modern era is defined by the destruction of nature. 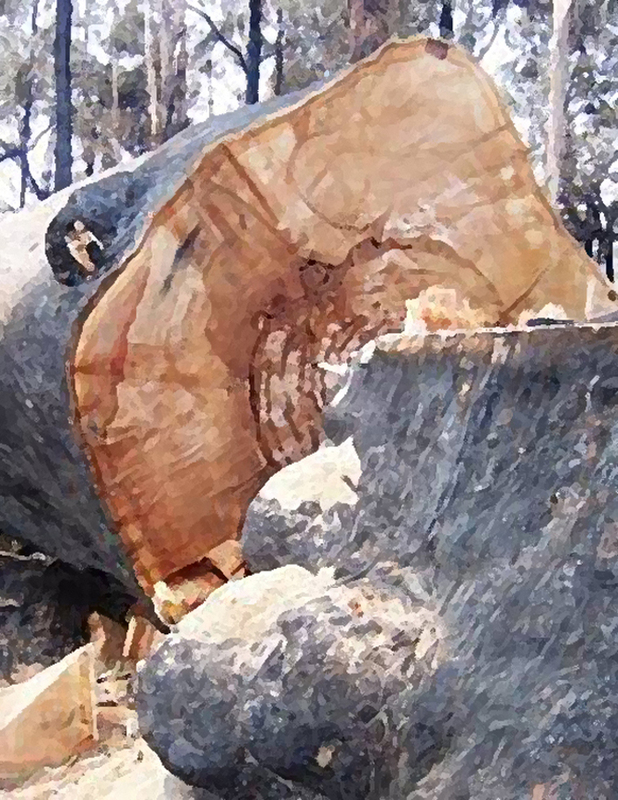 The felling of a single tree in the Amazon rainforest calls to mind the enormity of the death of a single man, Jesus. Appearing to her before the birth of her son, the angel said, “Do not be afraid, Mary.” But what must Mary have felt when she beheld Jesus bearing the cross? 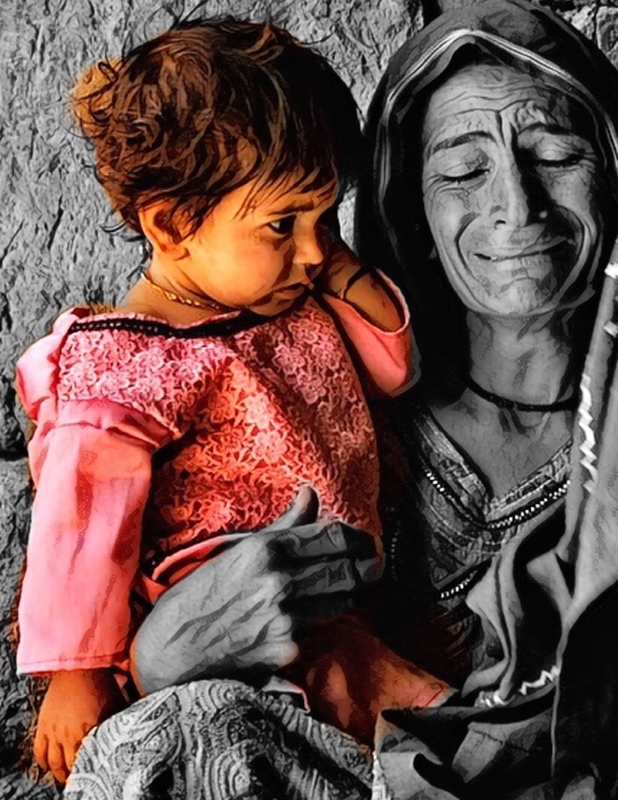 What must Jesus have felt when he looked into his mother’s eyes? 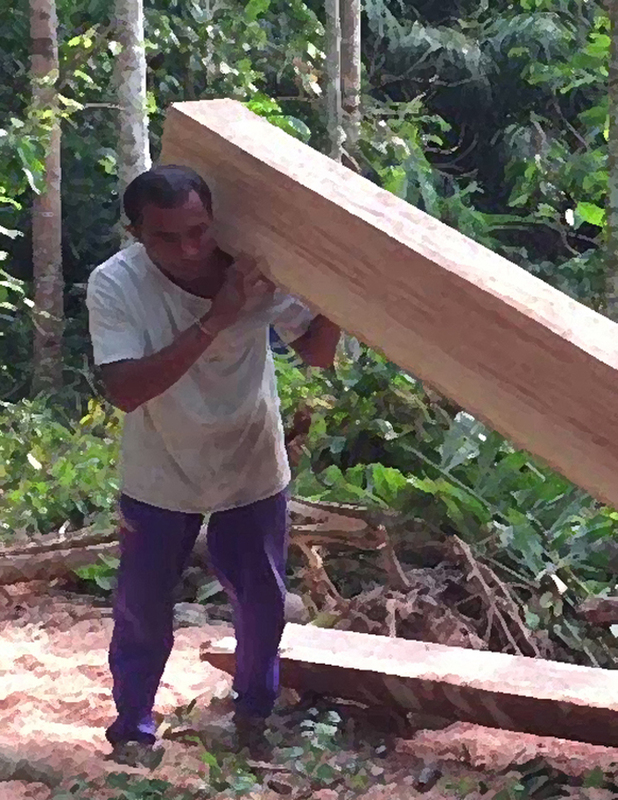 The exploitation of the natural world burdens vulnerable people, such as this Brazilian laborer, in a way that recalls the onus placed on Simon of Cyrene, who carried the cross of Jesus. We can recognize human suffering — and compassion, and dignity — in creatures made vulnerable by the destruction of natural habitat. 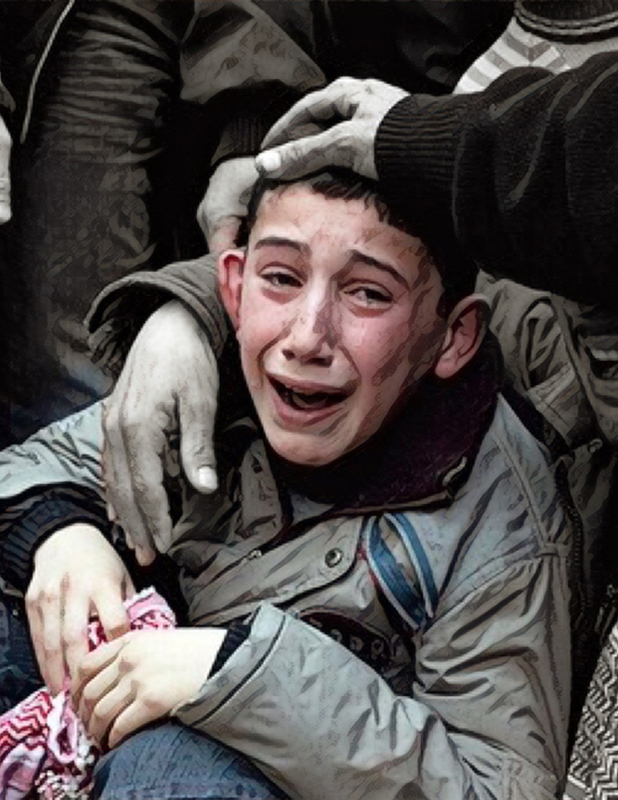 A Syrian boy cries out for his father, killed by a sniper’s bullet. Just before he died, Jesus called out, “My God, my God, why have you forsaken me?” But as he struggled beneath the weight of the Cross, Jesus must have felt abandoned many times over. A multitude followed Jesus. 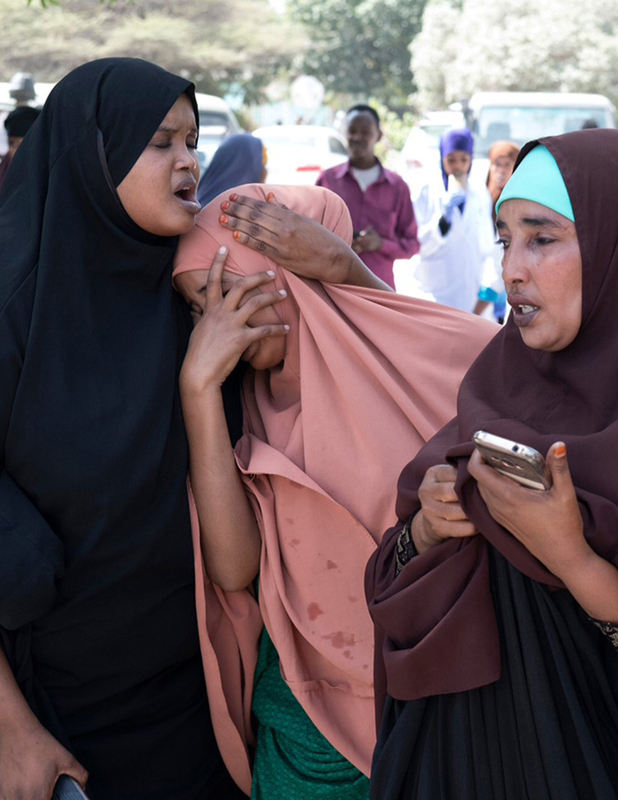 Jesus turned to them and said, “Daughters of Jerusalem, do not weep for me, but weep for yourselves and for your children” — as these women weep after the bombing of a hotel in Mogadishu, Somalia. All of us are fallen. 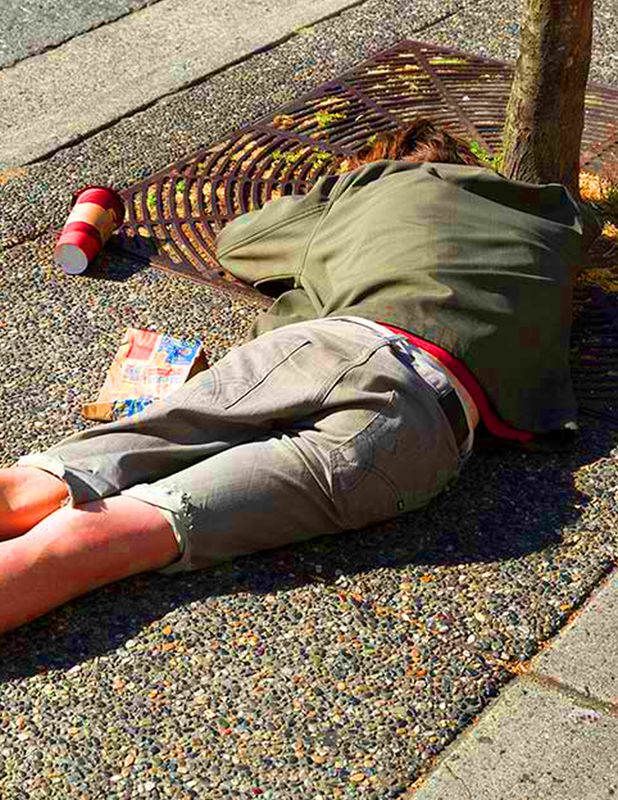 Young people bearing the cross of homelessness often turn to substance abuse for succor. Merciful Jesus, walk with us in our ways of suffering. Since the fall, nakedness has symbolized shame and vulnerability – as captured in this image of a young Indian coal worker. 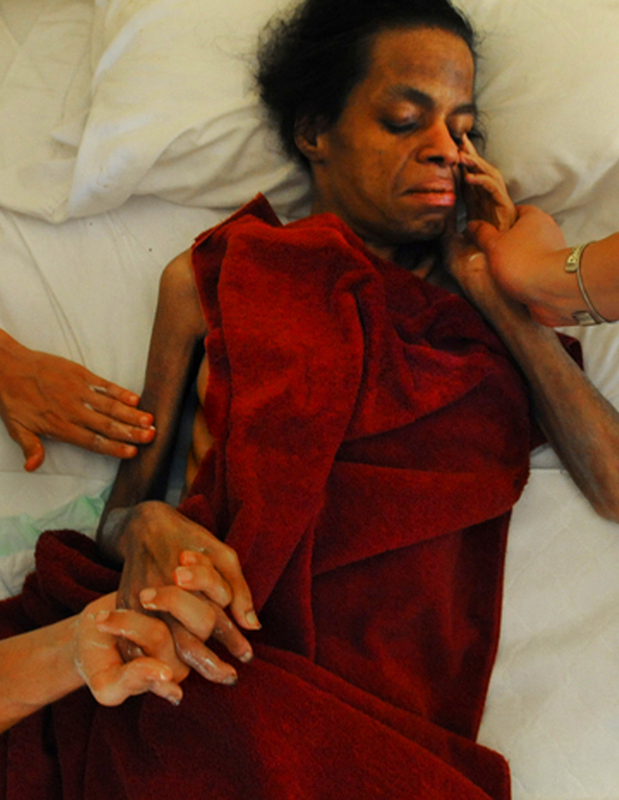 “When they came to the place that is called The Skull, they crucified Jesus.” Around the world, HIV/AIDS continues to nail millions of people to their own cross, including 1.8 million children. 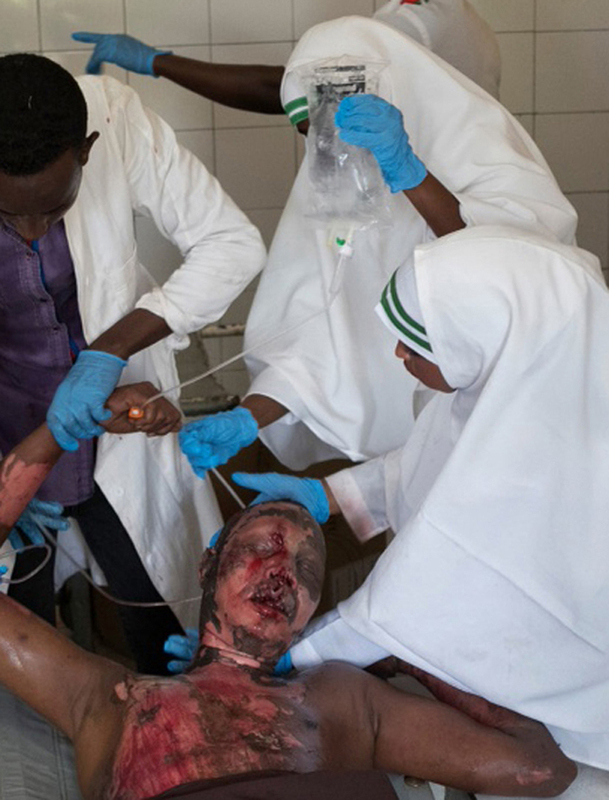 “Father, into your hands I commend my Spirit.” Here, after a hotel bombing in Somalia, a doctor and nurses provide care while a man’s life slips away. 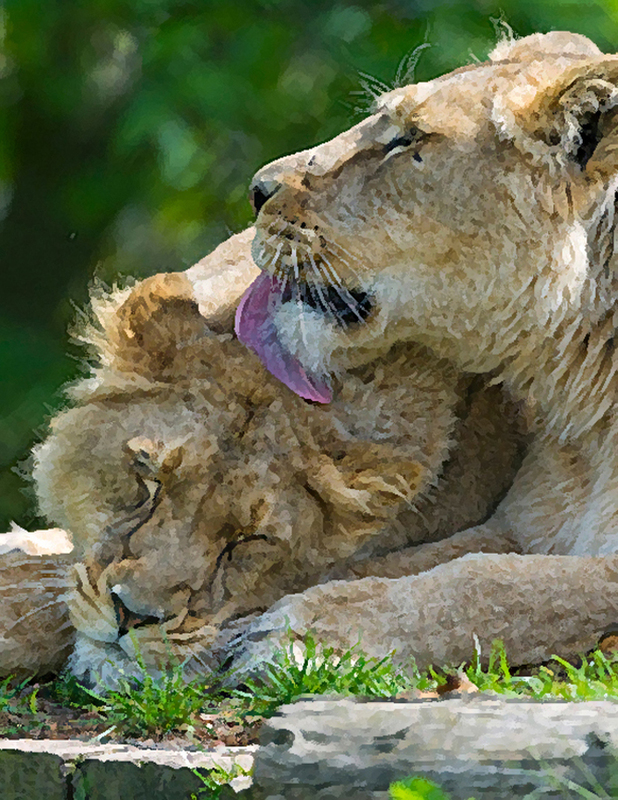 There is no earthly love like that of a mother for her child — a compassion shared by many nonhuman animals. This image of an elephant grieving the death of a loved one evokes the sorrow and helplessness Mary must have felt at the death of her son. 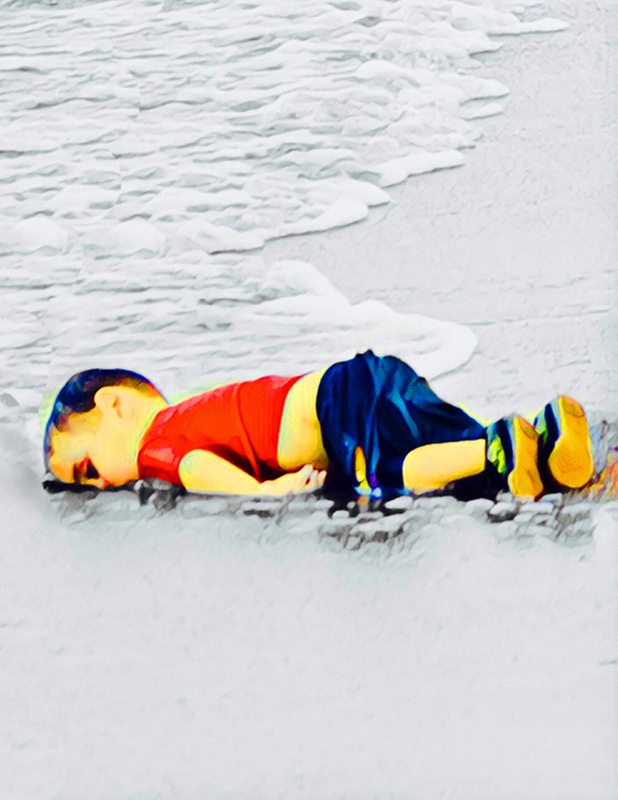 The unforgettable image of the body of a Syrian refugee boy washed up on a Turkish beach — the child wholly innocent, utterly alone, the promise of his young life cut off forever — reminds us to mourn the passing of Jesus from this world to the next.